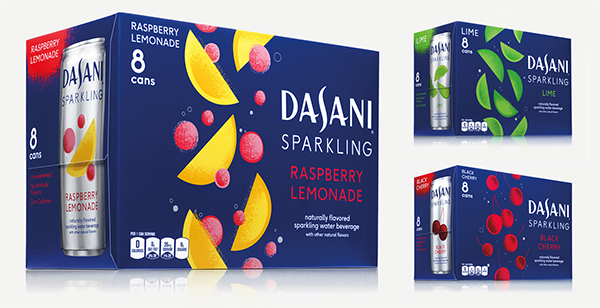 Coca-Cola introduced Dasani Sparkling in 2013, a five-SKU line of naturally flavored, unsweetened and lightly carbonated waters. 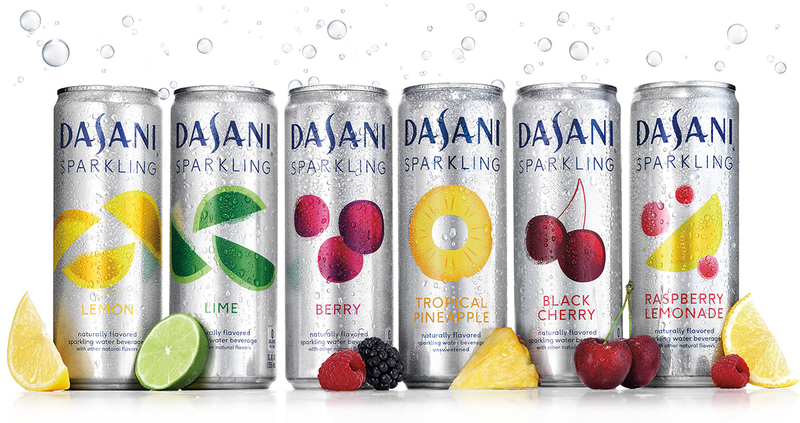 As of 2016, Sparkling now comes in 12oz cans with six flavors (Lemon, Black Cherry, Lime, Tropical Pineapple, Berry and Raspberry Lemonade) – along with a fresh (and much improved) new design! The old packaging had way too much going on with the fizz and the bubbles and more fizz. The new cans are absolutely beautiful with bright, abstract illustrations of each of the flavors that clearly communicate what I expect the water to be – light, refreshing, and bubbly. The new logo compared to the previous one shows how remarkable simplicity can be (e.g. removing the blue bubbles and the bevel/keylines in the font, etc.). The tumbling illustrations look equally engaging on the rich blue 8-packs. It’s bold for the shelf, ties in with the logo color and pops the fruit and silver color of the can.